Lately I've become really interested in ordering an HB32, though I have to admit I've never actually played one. It's just I've heard some really good things about them, and I love semi-hollows regardless. I know I'll have to order one online and I would just like to know everything I possibly could from other HB32 fans about them. Are there any things about them that tend to be problems, like wiring or the fretboard? The general workmanship of them... Also, I've seen a lot of people who say they paid like 200-400, but I haven't seen it online anywhere for less than 450 and I was wondering where you got yours. Finally, I was wondering if it's possible to buy it with pickup covers to match the hardware, and if so, from where? I really appreciate it. Try Ebay and Craig's List for used ones. No Problems with the Wasburn HB's. Many problems with Epi DOT's. They only come without covers. You can always buy covers and solder them on later. I've seen several HB32DM and a few HB33DM; the first always had uncovered pup's while the later always seem to come with pup covers matching the rest of the hardware. The fingerboard seems to get a different finishing as well. for all the rest, they seem to be pretty much the same thing. I got myself one of the hb33dm sort, and I'm liking it very much, both looks and tone. i was looking at these a while back, and saw the -33 on French sites only. I really like that look as well. Haven't played this later generation, but all reports are positive. I would suggest writing to WB-Nick, you'll find him on the forum as a moderator. He's involved in global production of guitars, and is probably the best readily available knowledgeable person in terms of knowing IF, or how, you may get a hold of the pickup covers. 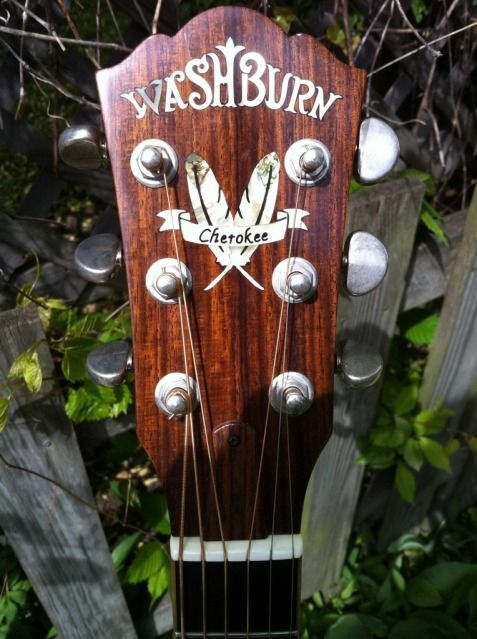 Could be a European parts vendor or Washburn licensee with a web store that could ship internationally. He might be able to direct you. I'll check with out parts guy. The HB33DM was sold in Europe only but we may have a few parts. I finally ordered an HB32 recently, and I have to say it is probably the best guitar I have ever played. I doubt I'll ever feel the need to buy another electric guitar. I doubt I'll ever feel the need to buy another electric guitar. Nuages - that's not what anyone wants to hear on this forum. It's all about the GAS. where would I get hold of the pot covers?